Happy Friday! I know this week has been a short week (after taking a long weekend break) but goodness me, the last few days seem to have evaporated before my very eyes! But at least that means there is another fabulous weekend just a few hours away and a bottle of red wine with my name on it, ready and waiting for this evening! Then tomorrow there is a very special event happening right here in Edinburgh and I so can't wait! The very first Edinburgh Yarn Festival opens it's doors at the Out of the Blue, Drill Hall at 10am... better go easy on that wine then! Ysolda will be there with her photo booth and lots of patterns and samples of her designs for you to try on. 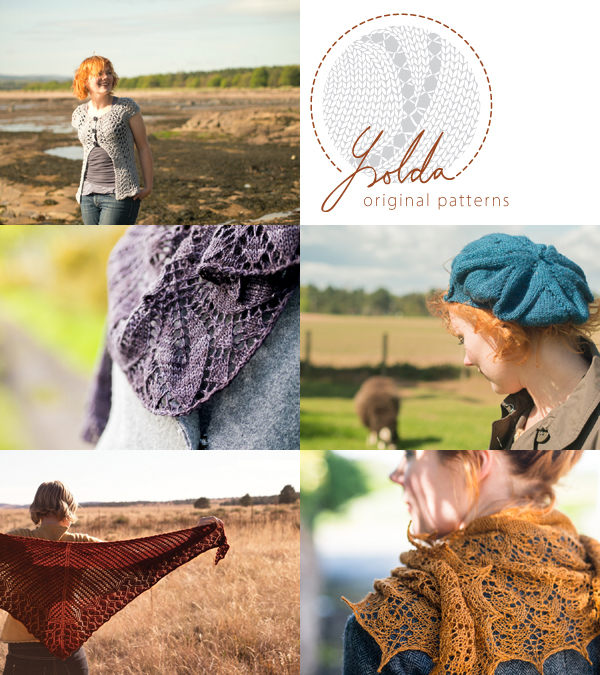 Check out the lovely fifteen minute interview with Ysolda on the Edinburgh Yarn Festival blog. 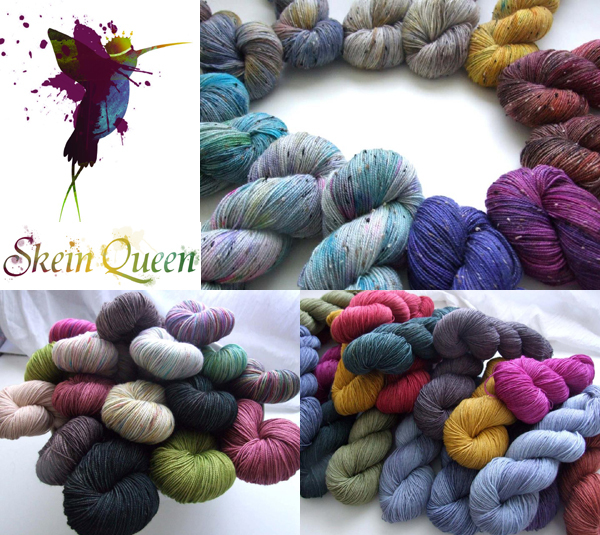 The Skein Queen's stall with be the first yarny loveliness I'll be heading for! I'm really excited about getting to meet lovely Debbie for the first time in person, not to mention getting to 'squish' all of her lovely yarns! Do hop over and read her 60 second interview on the Edinburgh Yarn Festival blog. 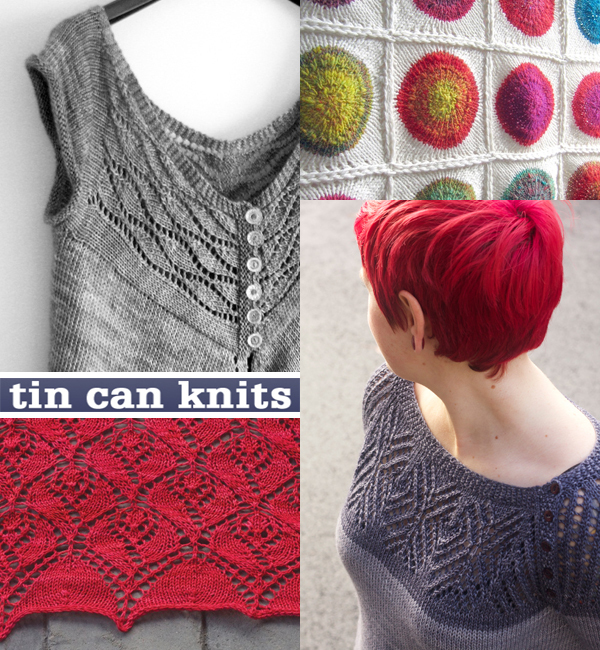 Two other designers I'm particularly looking forward to are Tin Can Knits (pictured above) and Susan Crawford (below). You can read Tin Can Knits 60 second interview here. 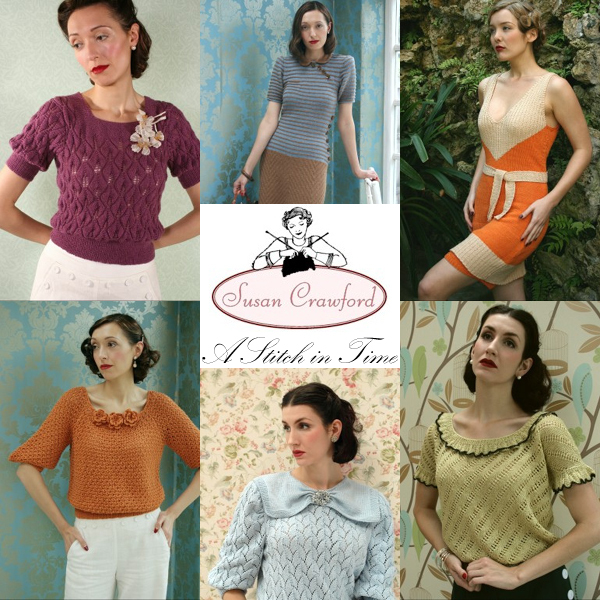 Susan Crawford is the co-author of the self published 'A Stitch in Time', a collection of reproduction vintage knitting patterns from 1920-1949. I adore the beautiful orange jumper in the bottom left corner below, with those sweet crochet flowers on the neckline. You can read her 60 second interview here. 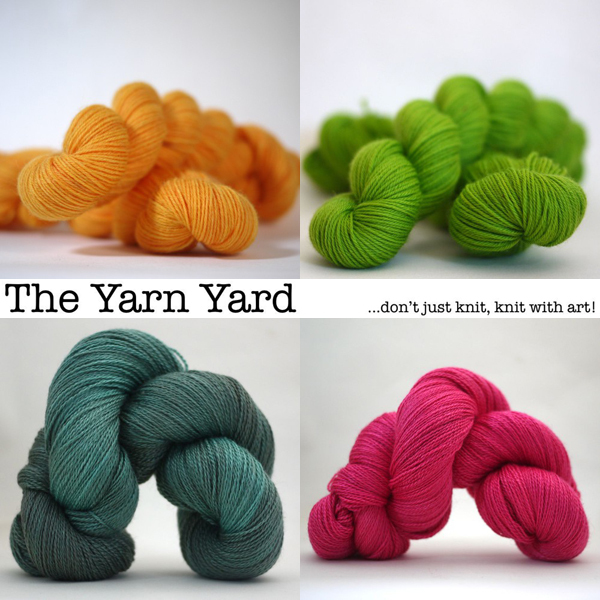 Another two wonderful yarns stalls that I'm also looking forward too are The Yarn Yard (pictured above), I love their tag line '...don't just knit, knit with art! 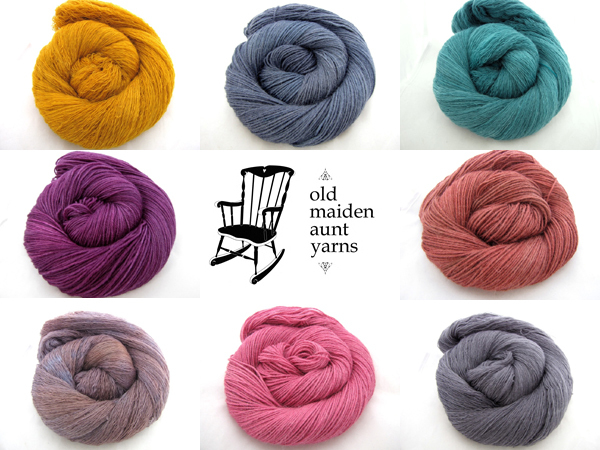 ', and Old Maiden Aunt Yarns (below). Read Old Maiden Aunt's 60 second interview here. Goodness me, I'm going to bankrupt by 5pm tomorrow! I am imagining there may be a wee bit of kicking and screaming come five o'clock too... I think I may need to be dragged from the Drill Hall along with a few other yarny groupies, ha! Anyhow, while I am there I shall do my best to squeeze in a wee bit of camera clicking between all the yarn 'squishing' and will report back sometime next week. In the meantime, if you're not in Edinburgh tomorrow, do take a peek at all the stallholders individual sites for more beautiful yarny goodness. Wow, Emma, that yarn festival sounds like a bit of heaven. If I lived nearby, I bet I'd be at the door early tomorrow. Each of the participants you mention look to be well worth a visit.